Colette’s first birthday party was last Sunday and if you follow me on Instagram, you may have seen some of the sneak peeks of the birthday party. Anyhow, I chose the party theme- Sparkle Like a Unicorn! More about the theme and party will be up later this week! 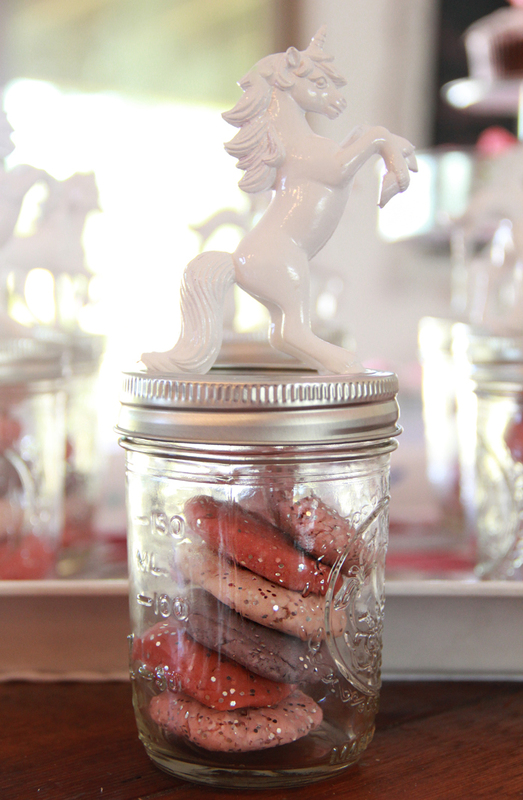 How to Make a Play Dough (Doh) Mason Jar Party Favor! Mix dry ingredients while water boils. Pour in water and mix. Add a couple drops of glycerin. Mix. Add Glitter and mix. The mixture is cool to touch very quickly, but let it set, then knead the dough. Keep in ziploc bag or other airtight container. 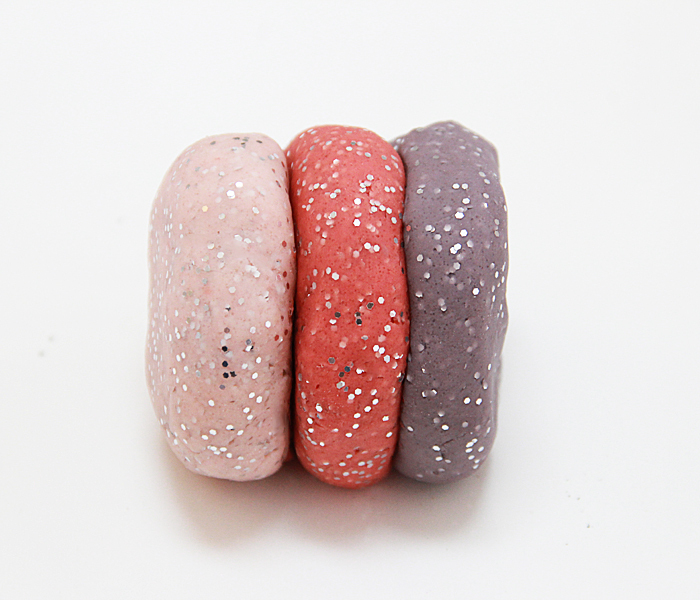 – I read quite a few recipes online for the play doh and came up with this combined version from all the tips. The consensus is that the cooked one is better, but my daughter wanted to make it with me, so I used the boiling water method so she could mix everything with me and it cools very quickly for her to knead (3.5 year olds do not have a ton of patience) I did not try a cooked version, so I do not have an opinion, but an fyi for all of you at home. – Cream of tartar is not necessary but the play doh lasts longer. – Warning– Kool Aid makes the dough smell DELICIOUS. You may want to take a bite even though you know that the recipe calls for an entire cup of salt. You WILL regret taking a bite. I may or may not know from personal experience. Optional: Spray paint the unicorns all white or another color that matches your theme. I wanted to do silver originally but needed a color to contrast the silver mason jar lid. 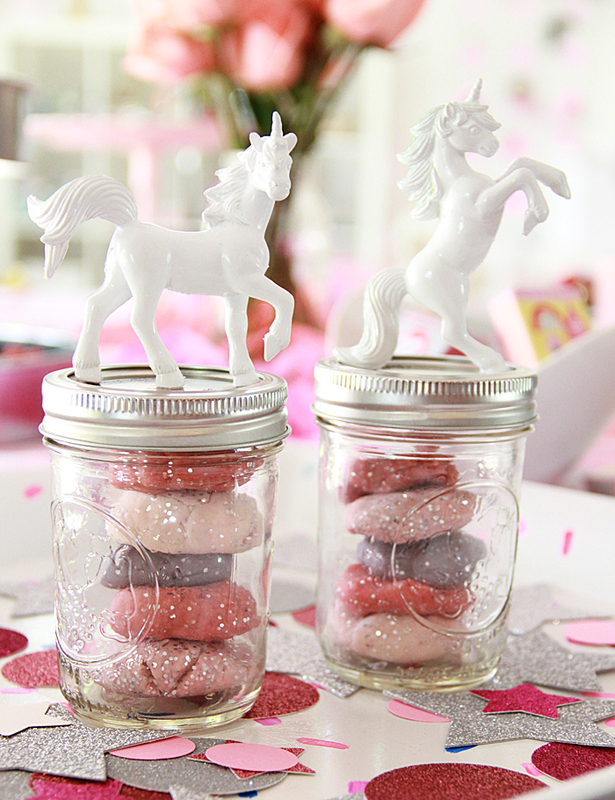 Super glue the unicorns to the top of the mason jar. Allow to seal for 24 hours before touching. Where can I find the unicorns?